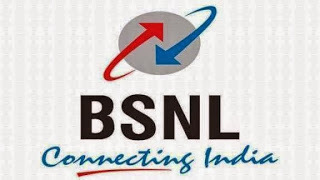 BSNL issues a recruitment notification 2015 for the young and talented aspirants looking for the jobs in telecom / telecommunications, electronics, computer IT and finance field. Candidates having engineering degree, CA, CS or ICWA certification, can apply for this recruitment. There are total 200 posts to be filled through this recruitment so all the interested candidates can find the detailed information given below before apply for BSNL Recruitment 2015 on or before the last date 14 June, 2015 through its official website/portal externalexam.bsnl.co.in. Please check the following information including number of posts, age limit, education criteria, exam pattern, selection procedure etc. Age Criteria: Candidates having age of not more than 30 years (as of 1 Aug, 2015) will be eligible for this recruitment and can apply for these posts. For detailed information about age relaxation for reserved candidates, please read the official notification. Education Qualification: Candidates should have done B.E. / B.Tech / Engineering Degree (Telecommunications / Electronics / Computer / IT / Electrical) / CA / CS / ICWA or its equivalent qualification from a recognized university. For Post Wise Education Qualification Go To Detailed Advertisement Notification. Selection Process: All the candidates will go through the 3 tier selection process – Written Exam, GD & Interview. After reading the official notification and the minimum requirements to be eligible for the recruitment, you can apply directly online through the official website externalexam.bsnl.co.in link given below on or before the last date 14 June, 2015.